Sorry for the late post this week. I have been busy on that list I posted last week and I just didn't get time to put this post together until today. I managed to get a few items removed from the list, and probably added a few as well but I am making progress. 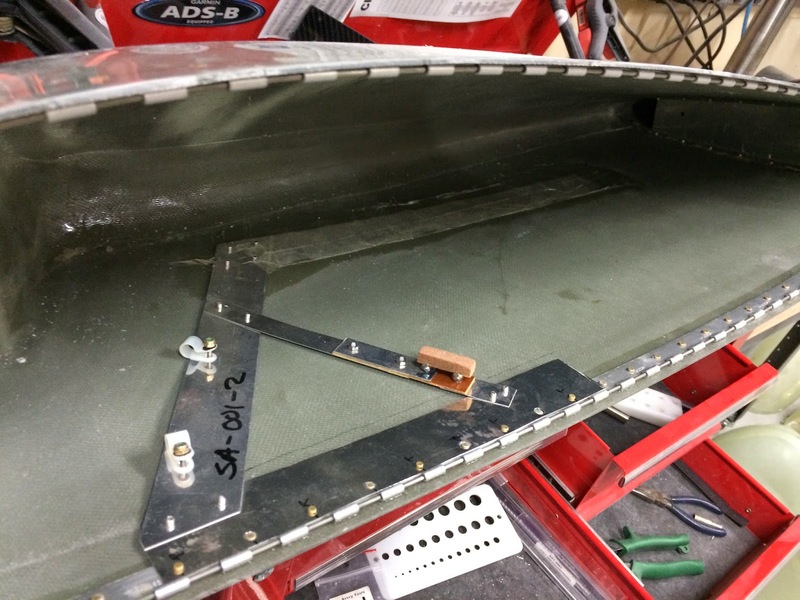 I spent considerable time this week putting and electrical panel in my hangar so I can get heat going. The good news is that I am almost ready for first engine start and if all goes well it will happen this week along with the final weigh in for my weight and balance calculation. The weight and balance is key because I need it to submit the paperwork for my final inspection. Woo Hoo! Tasks status for this week. A few items removed and a few added. 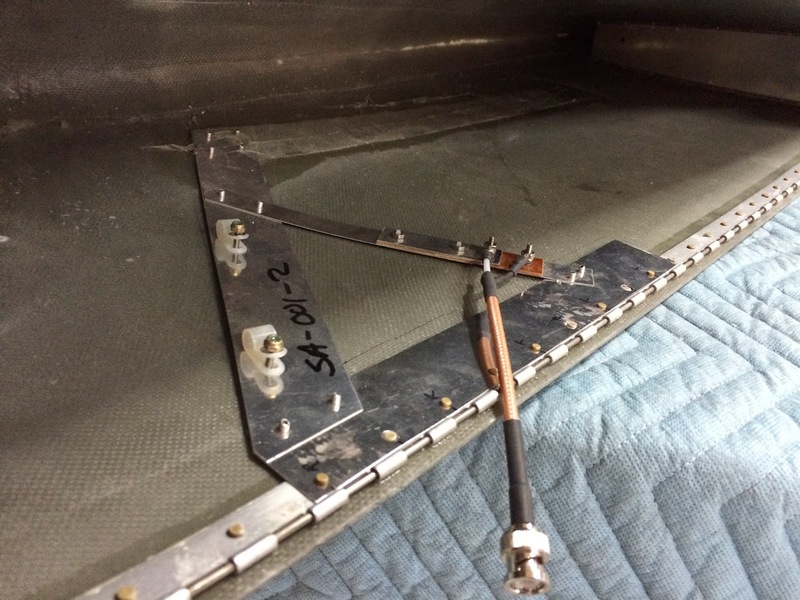 This is my new Navigation antenna before I wired up the BNC connector. 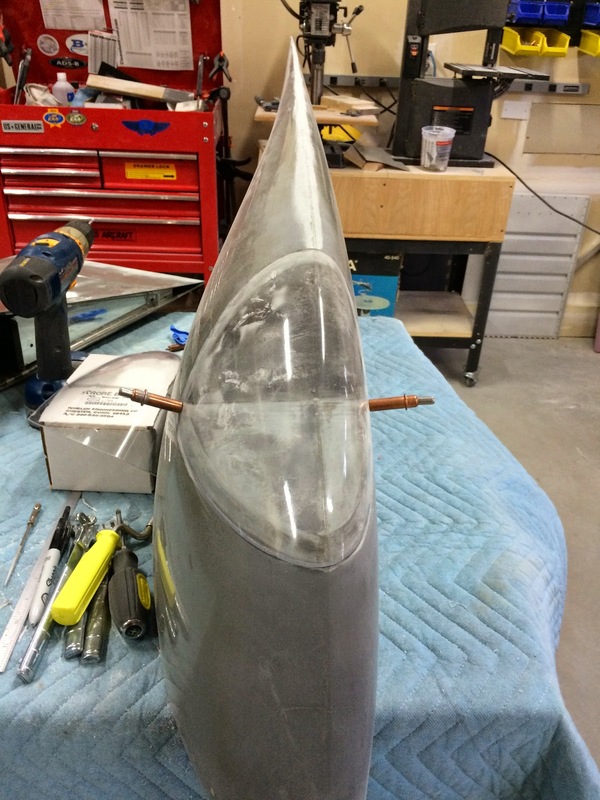 If you look closely you will see where I fiberglassed the tail end of it to the wing tip inside and riveted the closer side to the wing tip attachment hinge (as a ground). All wired up and ready for use! 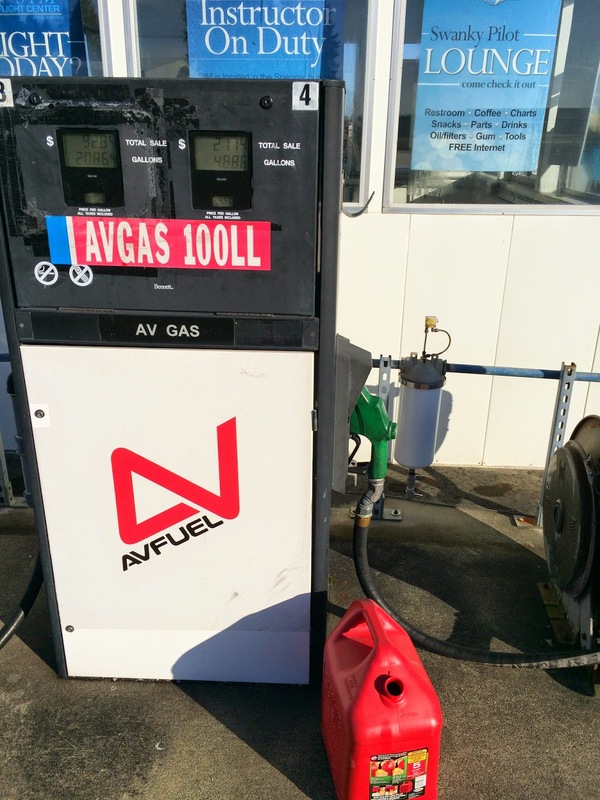 First fuel for N1605A! I am filling this container so I can flush the fuel tanks and do a fuel flow test for the boost pump. 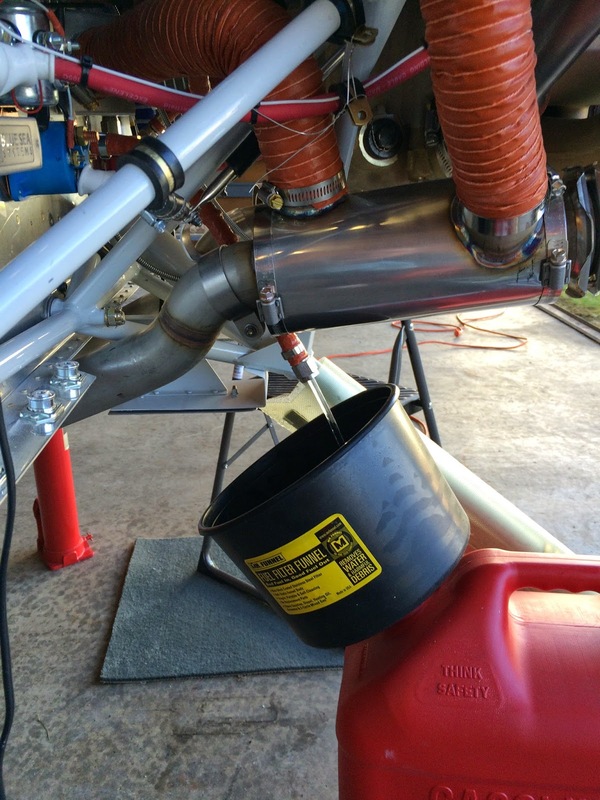 This is the fuel flow test. I think that stream of fuel should suffice! 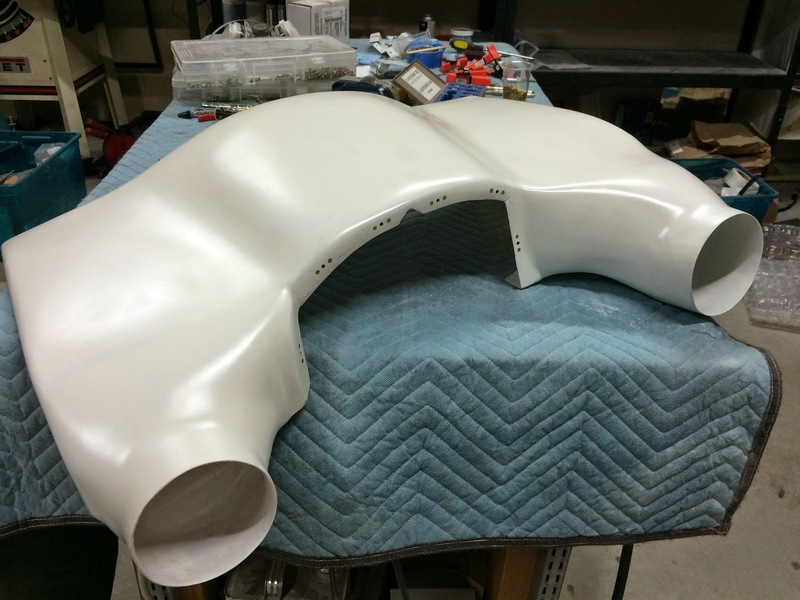 I finished up the plenum with a little primer and some platenuts. It is now ready to install. 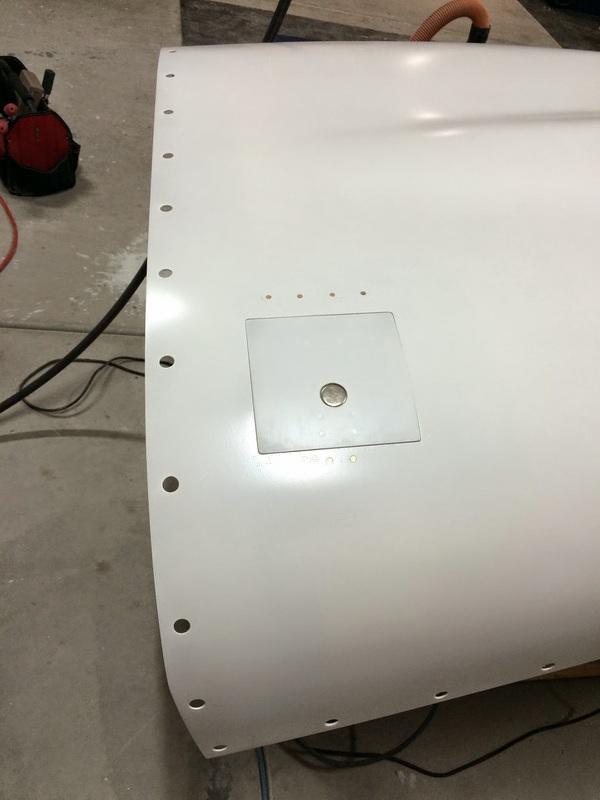 I got the top cowl primed, and the oil door installed. I still have a little work to fill a few pin holes I missed but that wont happen until I am ready for paint. Really dusty but this is the wing tip lens that I trimmed and got ready for final install. I will mount the navigation and strobe lights under the Plexiglas before these get installed later this week. And last but not least I found a new favorite Asian food....BACON fried rice... OMG this was good! 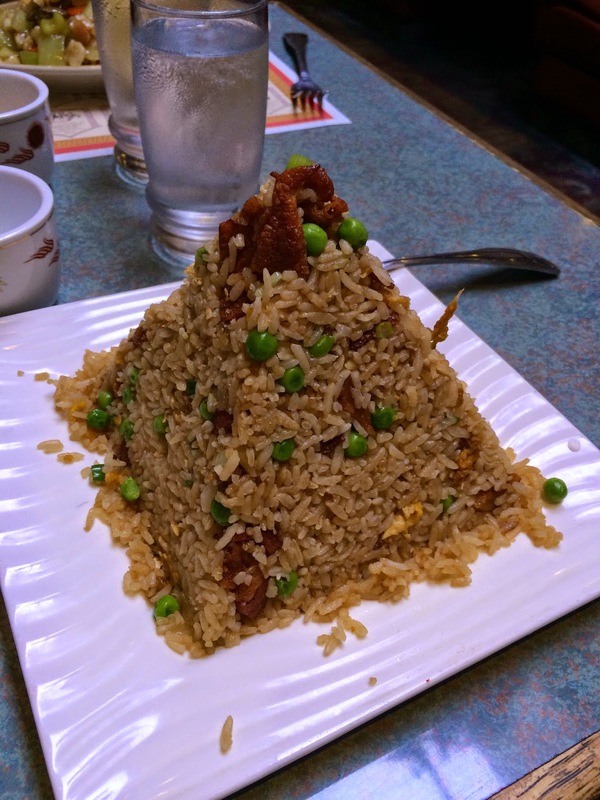 I never thought I would be one of those people who posts food but this pyramid of pleasure deserves some recognition. I got it at the House Of Gee near the airport. Look at the size of those bacon chunks!